The US Senate has approved a bill to tighten sanctions against Iran in a bid to force Tehran to abandon its nuclear programme. The new sanctions will target Iran's Revolutionary Guard and investigate its role in the export of oil from the country. It will also make it mandatory for US-listed firms to disclose any Iran-related business to the authorities. The move comes ahead of crucial talks on Iran's nuclear programme. "Today the US Senate put Iranian leaders on notice that they must halt all uranium enrichment activities or face another round of economic sanctions," Republican senator Mark Kirk, a co-author of the bill, said in a statement. The US and its allies have been trying to force Tehran to abandon its nuclear programme, which they suspect Tehran is using to develop a nuclear weapon. Last year, US President, Barack Obama, approved measures allowing the US to act against companies and foreign institutions that dealt with Iran's central bank. The move was aimed at cutting Iran's oil revenues as its central bank is the principal clearing facility for payment for Iran's oil exports. 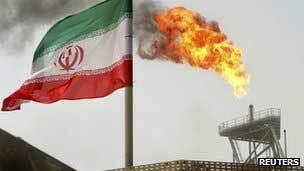 Earlier this year, the European Union announced an oil embargo against Iran. The US has also been putting pressure on countries in Asia such as China, Japan, India and South Korea, which are among the biggest importers of Iranian oil to reduce their intake from Tehran. Shortly after the bill was passed, one US lawmaker said that the move indicated US willingness to keep the pressure on Tehran. "This bill is another tool that will demonstrate to Iran that the United States is not backing down," said Democratic senator Robert Menendez. Despite all these sanctions Iran has insisted that its nuclear programme is meant for peaceful purposes. However, the International Atomic Energy Agency (IAEA) has expressed concern that Iran has failed to co-operate with its inspectors and has carried out activities "relevant to the development of a nuclear explosive device". Analysts said that with the US implementing tougher sanctions and trying to hurt Iran's oil exports, one of its biggest sources of revenue, the pressure on Tehran had increased considerably. "Right now, both sides are playing a game of chicken," said Suzanne Maloney of Brookings Institution's Saban Center for Middle East Policy. "The Iranians want to see how much they can get and how little they can give, whereas Washington and its allies are counting on the looming threat of impending sanctions to elicit more concessions on the part of Tehran." The latest sanctions come just days ahead of talks between six world powers and Iran in Baghdad, Iraq. Some analysts were of the opinion that imposing fresh sanctions just days ahead of these talks may prove counter productive. "The biggest requirement now for getting an agreement is not to pile on still more sanctions, but instead to persuade the Iranians that if they make concessions the sanctions will be eased," said Paul Pillar, a security studies professor at Georgetown University. The last series of full international talks with Iran broke down in early 2011.